If you are riding the Sella from Canazei, then read the first part of the description about the Passo Pordoi from Canazei first (read here). 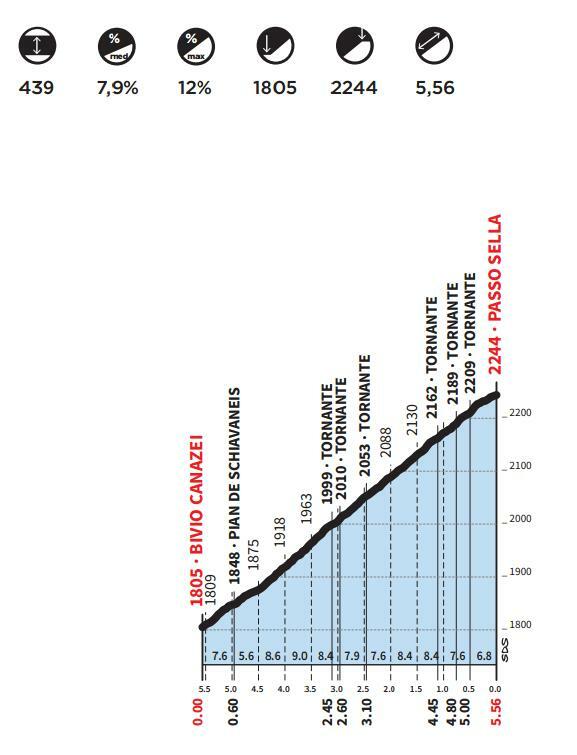 Passo Sella actually begins 5.5 km after Canazei on the Pordoi climb. 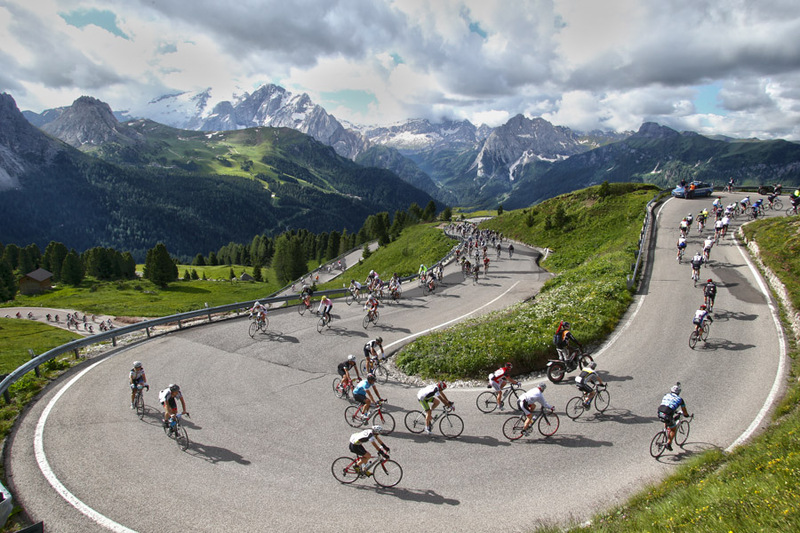 The description of Passo Sella in this article is based on riding the Sellaronda clockwise. So, the first tip I can give you is to build up as much speed you can on the last part of the descent from Passo Pordoi when you see the crossroads, in order to easily ride up the first hairpins of the Passo Sella, to pay attention at the crossroads because you will often bump into cars, motorbikes, and even cyclists (the ones that didn’t read this article) that stop because they don’t know which direction to take. The maximum grade of 12% of the Sella appears in 3 places. The first one is just 300 meters from the beginning of the climb – and keep in mind that you’ve already ridden 2 hairpins. After this short part is behind you, breathe a bit or maybe stop at the nearby hut. If you dare to look above you, you’ll see that you’re right under the Sella Massif walls. 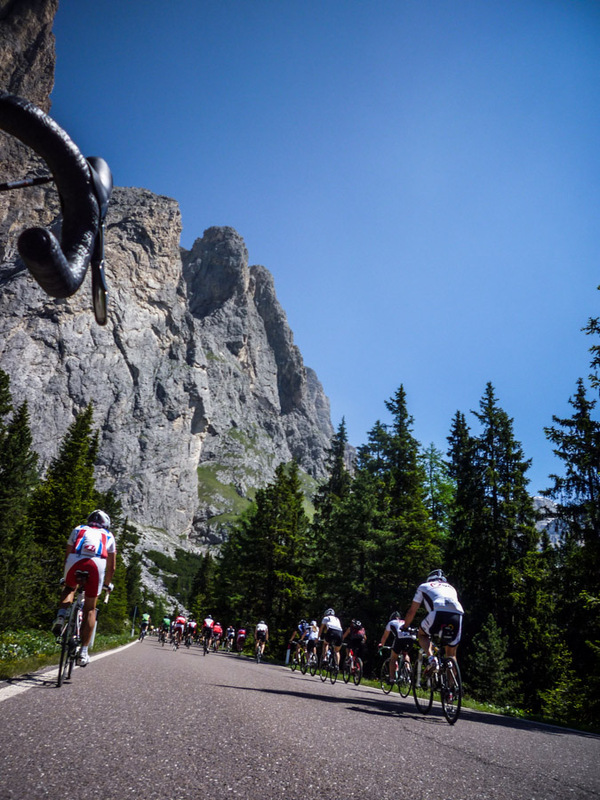 The Passo Sella is the climb that gets you nearest to these amazing cliffs. After 1.2 km from the start, things get serious. A left turn takes you to the side of the mountain that you will climb all the way up to the top. The Sella is difficult to climb because it doesn’t have a steady gradient. You have sections that are between 5 to 7%, then suddenly after a hairpin you have a 10% wall. Luckily, it’s short because there are only 4.5 km left to reach the top. 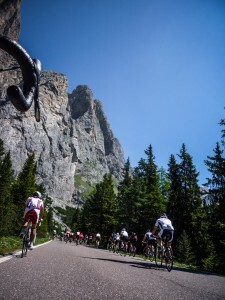 Pass o Sella is one of those climbs that offers fabulous scenery. If all you see in front of you are the Sella Massif walls, if you look around, you get an amazing view of the Marmolada Glacier the higher you climb. And, once you’re out of the forest, on the last hairpins, you’ll start to see the magnificent Sassolungo Group. Many people confuse this with the 3 Cime di Lavaredo, but those are farther away, in the opposite direction. If you ride with a group, the last hairpins are without doubt one of the best places to take pictures of you and your friends. You can get everything in one shot, like a beautiful road with hairpins and a magnificent view of the Dolomite walls. Don’t wait to do this at the top of the climb because you’ll find yourself in the midst of car and motorbike metal up there, and that’s not the nicest kind of picture, right? 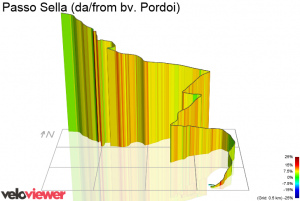 Have you ever ridden this climb? What were your thoughts and feelings as you were climbing? 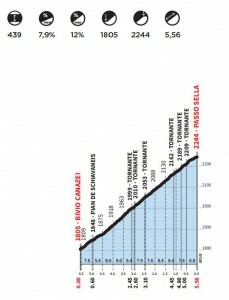 I rode this climb from Canazei on Saturday 30th April. Starting in Bolzani, I first came over the Costalunga (Karerpass), then climbed upntobthe Sella Pass, and continued on to the Gardena. From there, I retraced my route to the junction, & descended down to the Adige valley & back to Bolzano – 80 mls & 10,000 ft of climbing. Conditions were perfect – bright sunshine, blue skies, dry road surface even at top of passes, no ice but snow all around, & most important – no traffic! A perfect day in incredible scenery! Did the claim today, started from Canazei. Amazing climb, with amazing scenery indeed. Every word you say is true. Thanks!